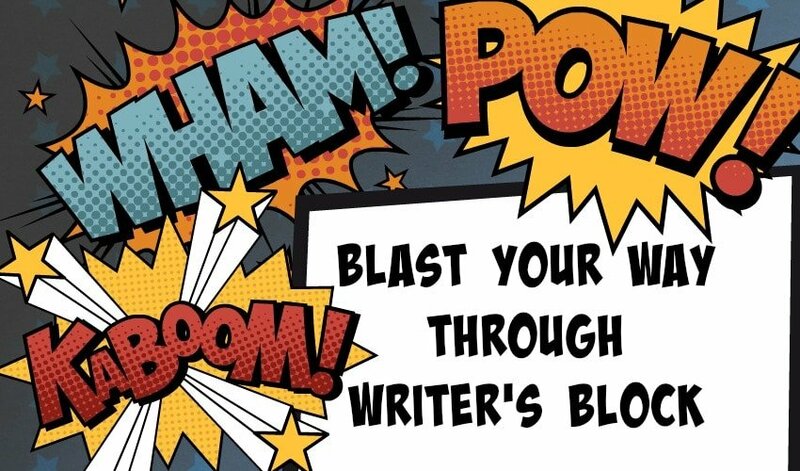 Struggling with a touch of writer’s block? Have no fear, Worditude’s here to blast away those mental obstacles and power up your creativity. This five step process will have words falling out of your brain faster than you can say ‘creative constipation consternation’ (which means stuck for words and getting worried about it). If you’re doing this, then do it properly. Shut down the email and social media tabs on your computer. Set a timer and pledge to dedicate that time exclusively to writing. If you have a big job on your hands, tackle it in 50 minute chunks with at least 10 minutes of screen free breaks in between. * Who are you writing for? * What do you want them to know, feel and do after they’ve finished reading? * Why are you writing it? Have you ever seen an artist at work? Just like an artist you can boost your creative flow by sketching an outline of what you want the finished product to look like. I like to divide an A4 piece of paper up into sections, and for each section write a rough headline, the main points and the goals for that section. You might want to try a mindmap, or just dumping individual ideas onto post-it notes and rearranging them until you like the flow. If the words you want are stuck inside your brain, you need to get them out any way you can. Step away from your yawn-inducing laptop, and embrace a more creative way to capture your words. Using different coloured felt tip pens on paper can help get the words flowing. Or you could give up writing all together and use a basic voice recorder app on your phone to record your ideas. Not forever, just for a little while. If you are really struggling to find the right words, take a creative pause. Do something completely different that will help you to relax. Baking usually works a treat for me, and scrapbooking. Keep a notepad to hand so you can write down your ideas when inspiration strikes. Bonus Tip: Do NOT create and edit at the same time! Writing new material uses the creative side of your brain. Editing your work uses the analytical side of your brain. So if you are writing a line, then polishing it up, then writing another line you are continually switching back and forth between the two sides of your brain, which is a hugely inefficient way of working. Create. Take a break. Then edit. Writing should be fun, and if it’s not, then you’re not doing it right. If you need some help getting started or polishing up your first draft of copy get in touch. P.S. In the comments below, tell me what you do to get your creativity flowing.